Rita Ora was at a Louis Vuitton event in London, clad in a fab double denim ensemble from the brand’s spring 2019 collection. The outfit consists of an oversized denim shirt which Rita wore off-shoulder, and a pair of long straight leg jeans. Both pieces are made of rigid denim and are in a light blue vintage-y wash.
To complete her look, Rita layered a lot of gold chains around her neck and wrists, and finished off with a pair of satin very pointy heels. 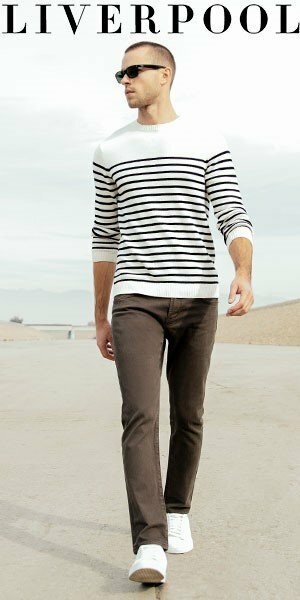 As we could see at many fashion shows and previews, long inseam straight leg jeans in a clean wash are absolutely a must-have. The longer inseam is great if you are wearing any kind of heel or platform, but it also looks super cool when you cuff them with a wide cuff and pair them with sneakers or combat boots. You can shop for straight leg jeans from RE/DONE, Burberry, and Alexander Wang.